Ready to party?!? Here's our collection of recipes that can be whipped up to feed a large crowd in no time! More than 30 ideas to get dinner on the table with just your pressure cooker - easy cook and easy clean-up! Hip recipes that will fit in the 3-quart Instant Pot MINI electric pressure cooker without any changes! Want to have fun at your own barbecue party?!? 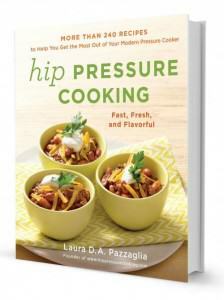 Then, use our make-ahead pressure cooker recipes so you can join the party. I contacted Bon Appetit via Twitter and email for an explanation or credit, but they replied with sassy insults, instead. UPDATED: More details on "the stirring" feature are revealed.